SynerFlex Supplement Prices: How Much Does SynerFlex Cost? When it comes to supporting your joint health, it’s easy to say there’s no cost too great! But realistically, you need to know if the price of SynerFlex is actually affordable. Especially when there are so many supplements available, at such very different price points. It’s tough to know a good price versus what’s just too expensive. So, in this article, we’re taking a close look at the price of SynerFlex… helping you discover just how affordable it is. SynerFlex doesn’t only bring you a single ingredient. Instead, you get 8 separate joint supporting ingredients in one powerful formula – taking on nearly every cause of your aching joints. We start with the proprietary blend, Hyal-Joint, which gives you 2 of those 8 ingredients – hyaluronic acid and hydrolyzed collagen. Hyaluronic acid is how your body creates synovial fluid, the “lubrication” in your joints. And collagen is a key component of healthy joints. Put them together in Hyal-Joint and use it the way we do in SynerFlex, and you’ve got healthy joint support. And we didn’t stop there. We added the ingredient, hops flower extract – the same hops flower you get in beer – to support joint comfort, so you can feel better often within days. Your 4th ingredient is boswellia serrata extract, or AKBA, for its anti-stiffness properties. When your healthy joints are moving easily, without stiffness, that’s AKBA at work for you – so of course, we added plenty of it. We call boron the “master mineral” when it comes to bone and joint health. The early trials were so impressive and encouraging that we made it the 5th ingredient in SynerFlex. The last 3 ingredients – ginger root, black pepper, and long pepper – are combined to create our bio-enhancer blend. Ginger and pepper are antioxidants that help your body fight the free radicals that can damage your joints. Plus, indications are that pepper helps your body absorb the other ingredients even better than it would on its own. So this bio-enhancer blend takes the SynerFlex formula and kicks it up a notch. What If You Purchase All Those Ingredients Yourself? Hyaluronic acid supplements at $9.99 per month. Hops flower extract at $3.49 for a 1.5 month supply. Boswellia serrata extract at $8.27 for a 20 day supply. 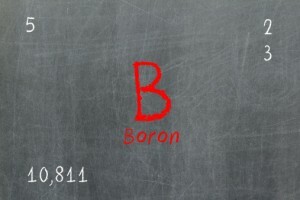 Boron at $4.86 per month. Just those 4 ingredients cost $26.61, which makes this option seem less expensive than SynerFlex. And it would be easy to think that… expensive except for 2 things: the formula above is still missing four ingredients and that’s not even a month’s supply. While those are equivalent amounts of each ingredient, you’ve got less than a month of the boswellia, and more than a month of the hops. You have to juggle bottles and keep track of how much you have left of each ingredient – not to mention finding space for all those bottles. As for the other 4 ingredients, the reason I didn’t list them is because you can’t find them. The hydrolyzed collagen isn’t sold in an equivalent amount, for any price. And you can’t find the ginger, black pepper, and long pepper bio-enhancer blend all in one place, either. So sure, the price of the SynerFlex supplement is more – but you get more. Lots more. You simply cannot reproduce the SynerFlex formula by using individual supplements. Plus, SynerFlex is backed by our Gold Standard Guarantee. If you aren’t 100% satisfied with the healthy joint support, simply return your order and we’ll refund your purchase price. It’s that simple. And if you order today, we’ll take an extra 10% off, just for giving SynerFlex a try. Enter promo code W650R4ZF at check out, and we’ll take the 10% off, automatically. Now you know - no matter how you look at it, the SynerFlex supplement prices make as much sense as using SynerFlex. Synerflex Price: How Much Does SynerFlex Joint Health Formula Cost? When it comes to joint health supplements, how much should you expect to pay? What’s a fair price? We love a good deal as much as the next person. But we do get a bit suspicious when something is too cheap. After all, we all know the old adage “you get what you pay for.” If something is cheap, we expect it to be, well, cheap. First, we start with Hyal-Joint, which isn’t just ordinary hyaluronic acid. It’s a proprietary blend of ingredients, including hyaluronic acid and collagen, working together to make both even more effective. Then, we add boron. But as with the hyaluronic acid, we don’t just use any boron. Instead, we insist upon calcium fructoborate, a superior form of boron that’s both bio-available and bio-active. Translation – it works! If you wanted to, you could probably find this combination of hyaluronic acid and boron – not the same quality, mind you, but the basic ingredients – at a drugstore. So why should you choose SynerFlex? We’ve also added hops flower extract, called Perluxan. While boron and hyaluronic acid can take a while to build up in your system, hops help you feel better faster. We included Boswellia serrata extract to help ease that stiffness in your joints. Finally, ginger root and black pepper are antioxidant extracts that help you fight off free radicals. Plus – black pepper helps the body absorb minerals, so all of the ingredients start working even sooner. And as with our anchor ingredients boron and hyaluronic acid, we demand the highest quality for all our ingredients, so we can provide you with superior product formulations at all times. And here’s something else you may not have known – SynerFlex is the only joint health product available on the market today with this unique, specialized formula. Sure, there are others that claim to be as good, but only SynerFlex contains these ingredients in the exact amounts for optimal joint health. SynerFlex Price: Is Superior Joint Health Worth a Few Extra Cents a Day? If you bought all of these supplements individually, you’d have to spend at least $52, probably more once you add in shipping. That’s $1.73 per dose, not including shipping costs. Then you’d have to worry about taking the correct dose of each one, and balancing the amounts so that each ingredient can achieve ultimate effectiveness. But we’ve done all of that for you. Your daily dose of SynerFlex has everything you need to maintain optimal joint health – just the right amount, every time. Plus, with SynerFlex (and all NorthStar Nutritionals products) you’re satisfaction is always assured with our Gold Star Guarantee. That’s something you won’t get anywhere else. SynerFlex might cost a bit more than other joint products. But once you factor in the quality and peace of mind that comes with it, we think you ‘ll agree that it’s worth every penny. Sure, there may be other, cheaper, products – but there’s only one SynerFlex. Click here to learn more about SynerFlex or to order your supply today. [VIDEO] Do Glucosamine and Chondroitin Really Help Arthritis Pain? Glucosamine and chondroitin first became popular as a way to deal with joint pain and stiffness in the 1990s. Up until then, there were very few supplements to help achy joints, and these two ingredients seemed like a miracle. And for many people, they have been, and still are. We’ve seen great success from people using glucosamine and chondroitin to relieve stiffness, pain, and aches in their joints. But not everyone had such great results, which got us wondering why. 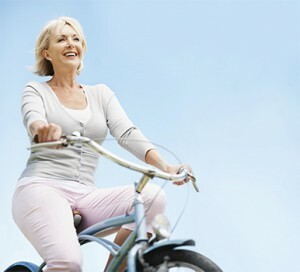 Both glucosamine and chondroitin are found naturally in our bodies. They are an integral part of healthy cartilage. As we age, the cartilage in our joints begins to break down and wear away. This can cause pain and stiffness. This is why it is believed that adding glucosamine and chondroitin to our diets in supplement form can help slow, or even prevent, this disintegration, which, in turn, eases the pain and stiffness. While it all makes sense in theory, if you actually look at the studies, they are mixed at best. Although some studies of glucosamine sulfate indicated it “modestly reduced” symptoms of osteoarthritis, others indicated that there was no noticeable difference between a glucosamine supplement and a placebo. And few studies suggested other forms of glucosamine didn’t have any impact at all. Studies of chondroitin alone are even more discouraging. The initial studies were conducted poorly, so their results are unreliable. Since then, studies have been erratic, some showing moderate results, some showing none at all. Read closer and many doctors appear to be relying on anecdotal, subjective accounts from patients regarding the efficacy of glucosamine and chondroitin. When a glucosamine and chondroitin combination works, it works because it addresses the deterioration of cartilage. Only, that’s not the only cause of joint pain and stiffness. Joint pain can be caused by many things, including (but of course not limited to) decreased levels of hyaluronic acid, tendonitis, bursitis, rheumatoid arthritis – any number of conditions. None of which is caused by deteriorating cartilage. And if your pain isn’t caused by a condition glucosamine and chondroitin is supposed to address, glucosamine and chondroitin will not – cannot – help ease your pain. It’s that simple. 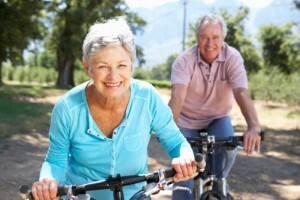 Do Glucosamine and Chondroitin Really Work for Arthritis Pain? Harvard got it right: it depends. Some studies have indicated it’s a good combination for arthritis pain relief. Others don’t back that up. Still, many people find relief in taking them. If you’re one of them, we certainly aren’t going to tell you to stop. Easing your pain is our goal, and if glucosamine and chondroitin help do that, great. But, if you aren’t getting the results you were expecting from glucosamine and chondroitin, know that you aren’t alone. And know that you have an alternative: SynerFlex. A joint health product packed with ingredients that not only target your discomfort, but that actually work in ways that glucosamine and chondroitin simply can’t Take a minute to watch this short presentation…and you’ll see for yourself exactly why SynerFlex is your best option for superior joint health. And when you try SynerFlex today, you’ll save 25%...so don’t delay. Get back to living life to your full potential…and on your own terms. [VIDEO] What’s the Very Best Supplement for Your Joints? When you’re looking for a joint health solution, the options can be overwhelming. Your local drug store is packed with products, all making claims of being the best. Every time you search on your computer or turn on the TV, there’s a different company selling their new solution. But when your joints ache and you just want to feel better, what is the best option out there? And how are you supposed to choose? First, when choosing a product, make sure it is targeted specifically toward joint discomfort. A general pain reliever may be fine for a headache, but you don’t have to settle for one when there are options available that focus specifically on your joints. Especially when some of the general pain relievers like aspirin, ibuprofen or acetaminophen have some pretty scary side effects. Look for supplements that contain ingredients with a proven track record, like hyaluronic acid and boron. And stay away from ingredients that may have great reputations, but don’t work for everyone or can take months to start working, like glucosamine and chondroitin. Pay attention to what else is in the formula. Are there other active ingredients? What assistance do they provide? Are they there to simply make the label look better, or do they actually contribute to your well-being? And are they targeted to your joint problems, or something else entirely? Take a minute to watch this short presentation…and you’ll see for yourself exactly why SynerFlex is your best option for superior joint health. And when you try SynerFlex today, you’ll save 25%...so don’t delay. Get back to living life to your full potential…and on your own terms. Boron Benefits: What are they and Do They Help Your Joints? Boron is a mineral that we should be getting in our diets, but most of us simply aren’t – at least not in the amounts we should. Due to soil depletion, there isn’t much boron left in the soil where our crops are grown in the U.S. Less boron in the soil means less boron in the crops we grow, which means less boron in our diets. Studies have indicated that in areas where people consume small amounts of boron, incidences of problematic joints are higher than in areas where people consume more boron. See, boron naturally helps to promote a healthy inflammatory response. Inflammation is part of what contributes to the degradation – the general wear and tear – of joints, which in turn, causes our pain. So the presence of proper amounts of boron in our bodies helps boost the overall health of our joints. That sounds pretty important! Studies done on the effects of boron have been consistently impressive. In one study, groups with mild to moderate symptoms found “substantial improvement” in the categories of pain, stiffness, and overall joint function. Even when looking at passive movement, which is when someone moves our joints for us, study participants taking boron reported “significantly less pain” than those on the placebo. And the average condition of study participants with symptoms ranging from mild all the way to severe was “significantly better” than the patients in the placebo group. In another study, participants with symptoms from mild to severe all experienced improvement, thanks to the addition of boron, as calcium fructoborate, to their daily routine. Bottom line -- our bodies need certain amounts of boron for our joints to move smoothly and comfortably. And most of us aren’t getting enough. But with the proper amounts of this powerful mineral, like the amount of boron in SynerFlex joint health formula, our joints can be healthier, move easier, and just plain feel good. And don’t you deserve that? Click here for more information on SynerFlex or to order your supply today. What are the Hyaluronic Acid benefits and Does it Help Joints? There’s a lot of buzz about hyaluronic acid supplements these days, as a way to keep our joints moving smoothly and comfortably. We certainly like what the studies have shown. So much so that we’ve included hyaluronic acid in SynerFlex, our special formulation for maintaining optimal joint health. Let’s take a look at hyaluronic acid, answer some questions, and see how it can benefit your joints. Our joints are made of bone, cartilage, and synovial fluid. This synovial fluid is what acts as a lubricant for our joints, keeping them moving and bending smoothly and without pain. Unfortunately, as we get older, our bodies stop producing synovial fluid in the same amounts. As it dries up, our joints become stiff, achy, even painful. Moving, walking, or standing stops being as easy as it was when we were younger. This is when it’s time to reach for some extra help. Hyaluronic acid actually works with the body to help it start making synovial fluid again. It may take approximately four weeks for enough HA to build up in our systems for the process to work, but once it does, our bodies are able to produce this essential lubricant again. For years, the only effective way to get hyaluronic acid into our bodies was through painful injections directly into the joints. This was inefficient and, quite frankly, painful. But now, hyaluronic acid is available in oral form, making it a widely available and far more appealing option for keeping your joints healthy. According to a randomized, double-blind, placebo controlled, year-long study in Japan, the ingestion of oral hyaluronic acid supplements showed “beneficial therapeutic effects” for study participants. Oral forms of hyaluronic acid, such as Hyal-Joint that’s used in SynerFlex, open up whole new and exciting doors for maintaining healthy, comfortable joints. What Joints Does Hyaluronic Acid Benefit? 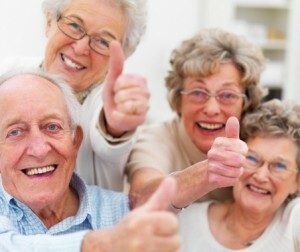 Hyaluronic acid supplements have been shown to be effective for almost all aspects of joint health. Most of our joints can benefit from hyaluronic acid supplements, including the ball joints (like hips, shoulders, and knees) that control major range of motion – and can often dictate how your whole body feels. From the aches in your fingers, to the stiffness in your knees, hyaluronic acid may be just what you’re looking for. Moving with ease and comfort doesn’t have to be a dream any longer. Not with SynerFlex joint health formula – hyaluronic acid working in conjunction with 4 other powerful joint supporter ingredients – makes your dreams of superior joint health a reality. Not only does SynerFlex with hyaluronic acid work, but it works fast. There may be better known joint supplements out there. But none that works better than SynerFlex. But don’t take our word for it. You can click here to see how SynerFlex is working right now for people just like you. Go ahead. Give SynerFlex a try today. The studies – and the results – speak for themselves. Click here to learn more about SynerFlex or to order your supply now. SynerFlex joint health formula has helped literally thousands of people relieve their pain and increase their mobility, and we feel great about that! In fact, we think the physical freedom and range of motion SynerFlex offers is the best available on the market. While we aren’t shy about tooting our own horn, we understand that you may want to hear more. Of course, you want to know how SynerFlex is supposed to work. And maybe how it works in the controlled environment of an office or lab. But want you really want to know is how it actually works, in the real world, while you’re living your life. So, instead of us telling you how powerful Synerflex is, we’re going to let SynerFlex customers do the talking. My right knee was stiff, along with some other places. Synerflex seems to be better than other products – now my knee feels great! My knee seems to have become smoother and more fluid in motion. I felt the difference the third day. I was so amazed. Three days! Now, we aren’t saying that particular result is normal, but according to Olivia, it’s possible. Will Synerflex make me feel better? I was on glucosamine for years, but it was not as helpful over the last year or two. After taking Synerflex, I noticed my joints felt like they moved more smoothly. Not only was I feeling better, but I have more flexibility in my knees. SynerFlex is a wonderful product that I wish everyone could use who experiences everyday aches and pains. You have really contributed to the quality of life for a lot of people. THANK YOU!!!!!!!!!!!! Can Synerflex make it easier to do the things I used to enjoy? My joints were stiff and sore and I was having trouble playing golf. But Synerflex allows me to move more easily … I can play with ease! Want the ultimate testimonial? How’d you like to hit the dance floor again? Or enjoy an aerobics class? How about combining both with Zumba? Thought it was out of reach? Not for Tina O’Malley with Synerflex… There you have it. We know SynerFlex really works. And now you don’t have to take only our word for it. You can take the word of real people, with real issues, just like yours – getting real results for their joint problems. With Synerflex. To learn more about SynerFlex or to order your supply today, click here now. Does SynerFlex Really Work? And is SynerFlex better than glucosamine? Everyone knows a glucosamine and chondroitin supplement is the best way to ease joint pain, right? But…what if that weren’t the case? What if there were something that worked differently, and perhaps even better? Now, we’re not saying that glucosamine and chondroitin don’t work. They do work, and for some people they work really well. But we are saying we’ve got something that might be even better: SynerFlex. Our researchers, with Dr. Allan Spreen at the helm, have come up with the perfect combination of 5 different active ingredients that, when brought together, create a formula unlike anything else on the market. The SynerFlex formula combines hyaluronic acid (as Hyal-Joint), boron (as Fruitex-B), and 3 other powerful ingredients, all in perfect amounts. Plus, it’s all available in a pill. In the past, hyaluronic acid treatments were only available via injection – but not any longer. SynerFlex offers the joint-supporting benefits of a shot, with the ease of a pill. Almost every joint in our body is made of bone, cartilage, and synovial fluid. This synovial fluid helps keep our joints lubricated, cushioned, and moving freely. As we age, it’s possible for levels of synovial fluid to decline. Without proper levels of synovial fluid keeping our joints lubricated, they get stiff, painful, and achy. That’s where SynerFlex comes in. Where glucosamine helps regrow cartilage, the hyaluronic acid in SynerFlex helps restore the fluid that keeps our joints moving smoothly. Once the bones and cartilage have a cushion of synovial fluid separating them again, our joints move easier and we experience significantly less discomfort. As much as we wish we could simply say “yes” to this, the true answer is “yes and no.” Like glucosamine, both hyaluronic acid and boron take a while, as much as 4 weeks, to build up in the system. That’s when you’ll start to experience the long-term effects of SynerFlex. But hold on, because the news gets better -- you don’t have to wait that long to start getting joint relief. Remember when we said there were 5 active ingredients in the SynerFlex formula? The other 3 active ingredients – hops flower extract, Boswellia serrata extract, and our bio-enhancer blend – promote a health inflammatory response. They go to work as soon as they hit your system and could help you feel better within days. It’s a simple, if painful, truth. When our joints hurt, everything hurts. When everything hurts, life is harder than it needs to be. It isn’t enough to regrow cartilage, if there’s no synovial fluid to help cushion it. Our joints need cartilage and synovial fluid in order to function optimally. If glucosamine hasn’t been living up to its reputation, then SynerFlex just may be the solution you’re looking for. Because SynerFlex stands alone as the most comprehensive way to protect and renew your joints. SynerFlex keeps your joints – and you – at your very best.